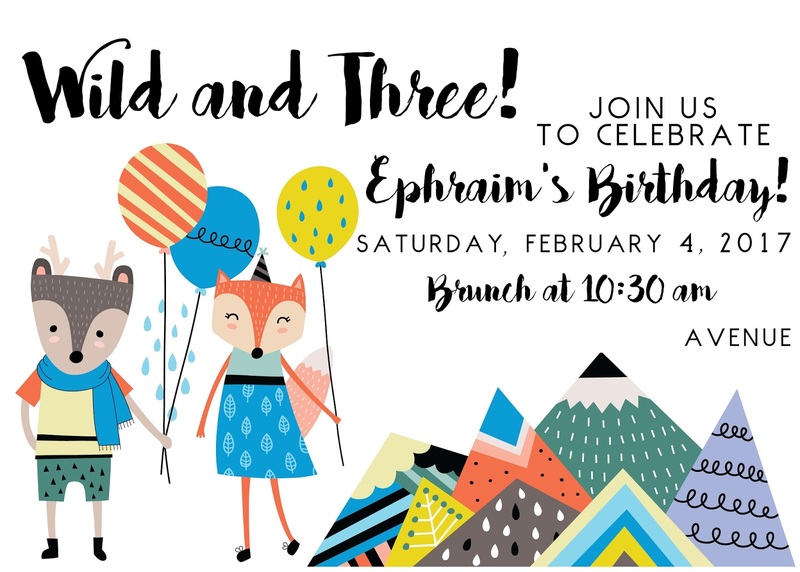 This is embarrassingly late, but I still really want to show you Ephraim's third birthday party. With having a less than one-month-old baby, I knew I couldn't go all out for this party. My goal was to keep it simple and also budget friendly. We decided to do a morning brunch and we had a blast! The theme was "Wild and Three", which came together really well when I found these whimsical forest-friends graphics. My mom wowed us with her colorful sugar cookies again. The bunnies, squirrels, and owls were super cute! 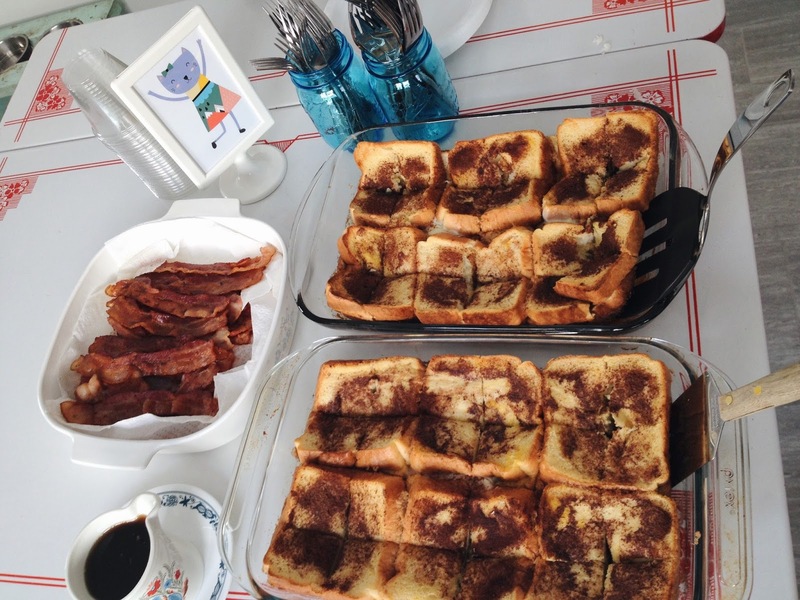 We ate bacon and Texas-toast style French Toast--it was delicious! Recipe found here. Steve made the chocolate cake while I directed him around the kitchen and held the baby. He did a great job, but we both decided it would be way easier to buy a cake next time. (Unless we keep bingeing "The Great British Baking Show," and get inspired.) The boxwood clippings came from our yard, and we made the buntings out of scrapbook paper. For a three-year-old, it is all about the presents! Our first (and still only) family photo of the five of us! 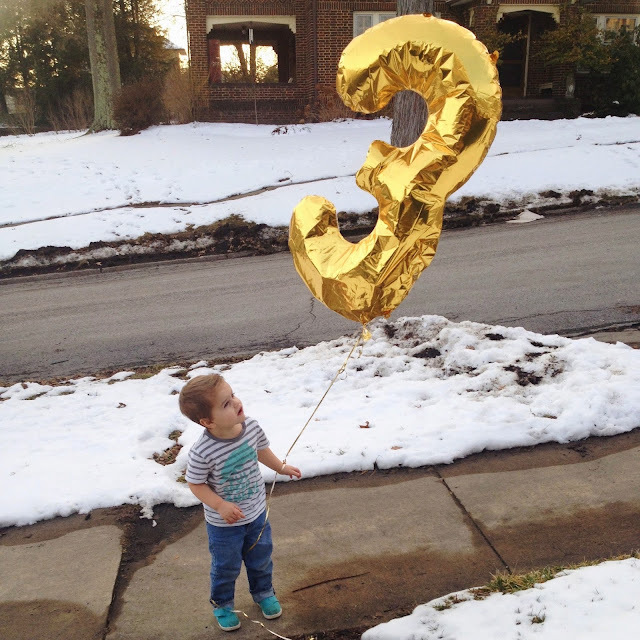 Later, I got a picture of E with his giant, gold 3 balloon. 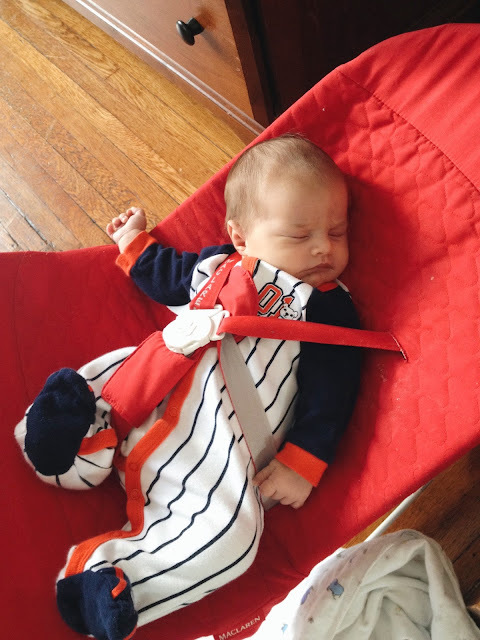 It didn't stay inflated very long with the cold February weather, but it was the best toy while it lasted. Thanks for humoring me and reading about our little party! I still can't believe my baby is three! He has really grown up in the past couple of months now that he is a big brother. While I love to plan parties, simple is great :) I can't believe E is already 3! I am seriously blown away and impressed by this party! I've thought about how Abigail's party will be with a one month old too and how that will be crazy town....so this is inspiring! Well done! This is so sweet! I love those cookies, so cute! !